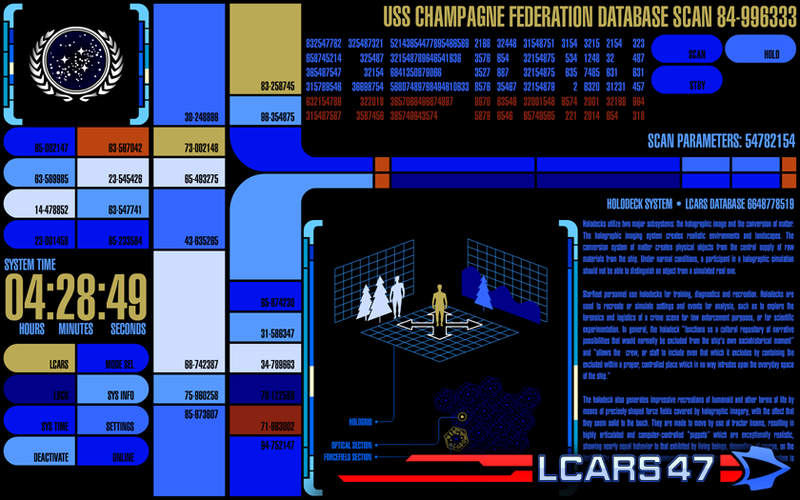 The Federation Database animation is finally complete. I spent more time on this as I would have liked to, since each screen will only be displayed for 0.2 seconds (unless you hit the "hold" button). 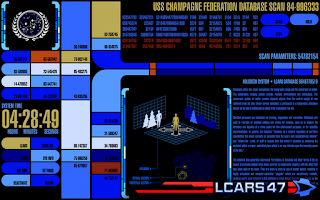 This animation represents the starting point of the user customizable database system. There will be an update to the StartApp where you can launch the personnel database directory. There you can add your own crew, et cetera. The database title also states the custom ship name which you can edit in the StartApp.